10. Wendy’s Chili – Looking for a hearty meal? This version of chili doesn’t use any pre-cooked hamburgers, I start with fresh ground hamburger meat. By using V8 this chili has a unique flavor that you can’t get any other way. 9. Olive Garden Alfredo Sauce – This is the recipe that got me started on cooking up copy cat recipes. Living in Deep East Texas, the nearest Olive Garden was hours away this is a recipe I just had to recreate. You don’t have to go through that, I have this one here for you. 8. Outback Steakhouse Blooming Onion Sauce“>Outback Steakhouse Bloomin Onion Sauce – Looking for a way to make fries something special? This is the sauce for you. I have found this sauce to be great for other fried goodies such as deep-fried mushrooms, or even fried cheese. 7. Popeyes Red Beans and Rice – Don’t you just love cajun food? Here I show you how to bring that cajun flavor at home. It is easy to do, instead of soaking beans all night, and spending hours cooking them, we start with canned beans so you can have that spicy goodness quickly. 6. Cracker Barrel Hash Brown Casserole – Who doesn’t love going to the Cracker Barrel for breakfast? Honestly, I think they make one of the best homestyle breakfast you can find while out on the road. I don’t know about you, but my Mom never served up a delicious hash brown casserole like this one. This is such a good side dish, you can have this any meal. 5. Olive Garden Salad Mix – So when you think of having a salad out at one of your favorite restaurants, who do you think about? Many people think about the Olive Garden. They put together a wonderful blend of lettuce, onions, tomatoes, peppers and more. You can put together one of these salads yourself, with this copy cat recipe. 4. Olive Garden Zuppa Toscana – The Olive Garden is known for their soups. This one is a personal favorite of mine. Combining crispy kale, tender potatoes, and sausage in a creamy broth, makes for a hearty soup that you can make a meal from this soup. 3. Hooters Fried Pickles – When you are sitting around watching your favorite game what could be better than biting into a crispy and tangy snack? If you have never tried fried pickles before, I would urge you to give this one a try, you won’t be disappointed on this popular recipe. You have to provide your own Hooters Girls though. 2. 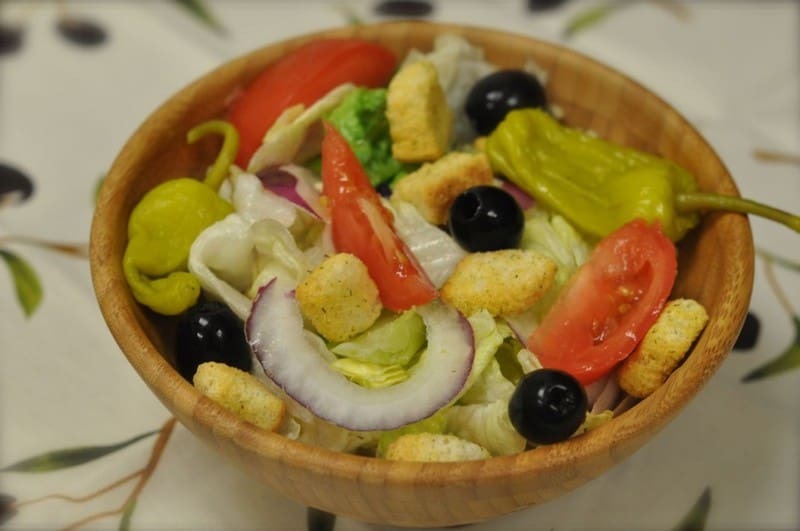 Olive Garden Salad Dressing – This recipe has been in the top ten recipes for almost ten years now. You can purchase a bottle of this famous salad dressing at the restaurant, or you can make your own copy cat recipe at home. 1. Olive Garden Chicken Gnocchi Soup – Back to the Olive Garden again, this is one of the newer soups at the Olive Garden. In a think creamy broth sits roasted chicken and tender potato gnocchi. You don’t have to drive to the restaurant, you can make a big pot of this soup at home with this recipe. Why are the Top Ten Picks of 2011 bascially the same as 2010? If I release a recipe in the middle part of the year, on page views alone, these recipes don’t break the top ten. Stephanie… you are absolutely amazing. Thank you for years of recipes! Looking at this list, people are really on the lookout for healthy recipes. Quite a bit of vegetable-rich nutritious dishes here. Way to go!